Jane Balme is a Professor of Archaeology at the University of Western Australia, where her research specializes in hunter-gatherer archaeology and the human colonization of Australia. Balme co-edited Gendered Archaeology: The Second Australian Women in Archaeology Conference (with Wendy Beck, 1995). Alistair Paterson is a Professor of Archaeology at the University of Western Australia. His research and teaching specialize in culture contact, historical archaeology in maritime and terrestrial contexts, European colonization, ancient rock art, and archaeological and historical methodology. He is the author of A Millennium of Cultural Contact (2011) and The Lost Legions: Culture Contact in Colonial Australia (2008). 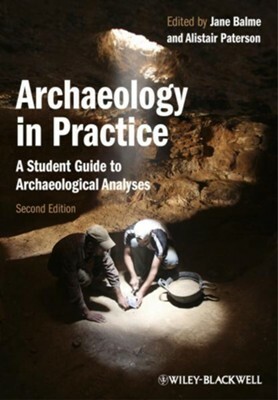 I'm the author/artist and I want to review Archaeology in Practice: A Student Guide to Archaeological Analysis.